Former State Legislator Mac Gipson is Administrator of the Alabama Alcoholic Beverage Control Board. Gipson, of Prattville, Alabama, served four terms in the Alabama House of Representatives representing Autauga and Elmore counties. 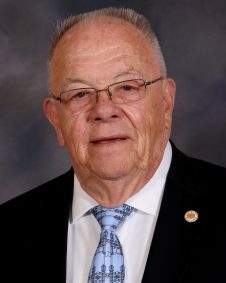 While a state legislator, he served on the Travel and Tourism Committee and was instrumental in crafting the state education budget as a member of the House Education Appropriations Committee. Active in civic affairs, Gipson was president of the Prattville Chamber of Commerce and serves on the Prattville YMCA Board of Directors. Gipson received a Bachelor’s Degree in Business Administration from Troy State University. He served on the board of the National Conference of State Legislators, and the Alabama Youth Services Board of Directors. He was vice chairman of the Southern Growth Policy Board and was chairman of the Legislative Advisory Council for the Southern Regional Education Board.